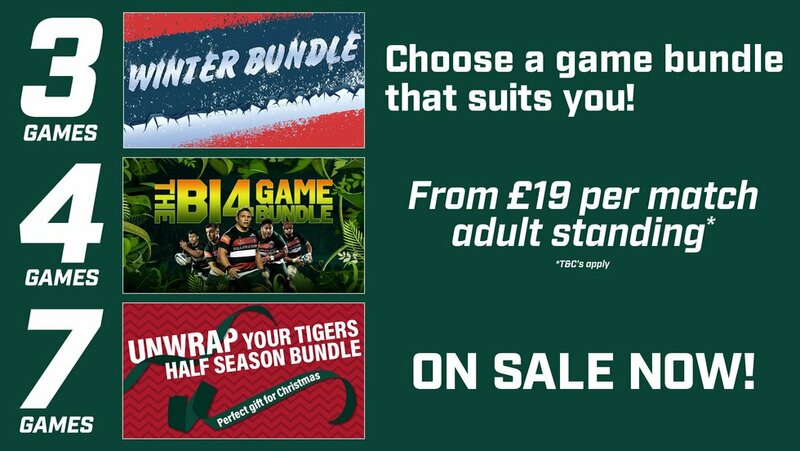 Leicester Tigers have launched three new match bundle offers for fans to take advantage of throughout the 2018/19 season. Supporters can choose a three-match Winter Bundle, four-match Big Game Bundle and Half-Season Bundle with seven matches to enjoy. 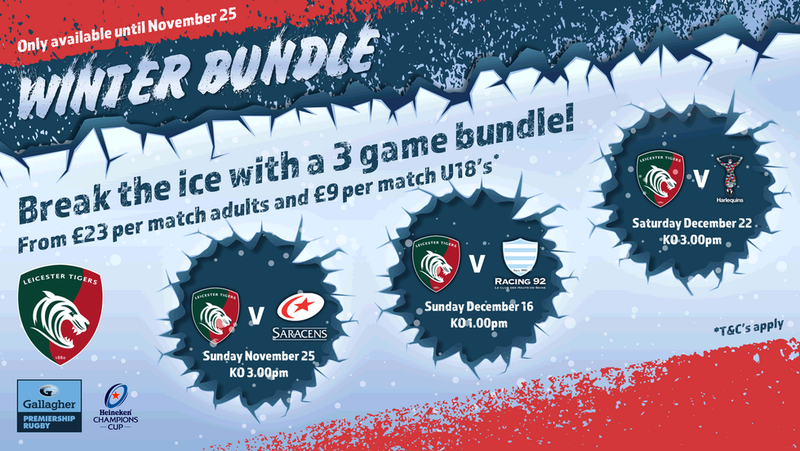 Our Winter Bundle is a great way to get a taste of the famous Welford Road atmosphere at two Premiership matches and one European fixture. 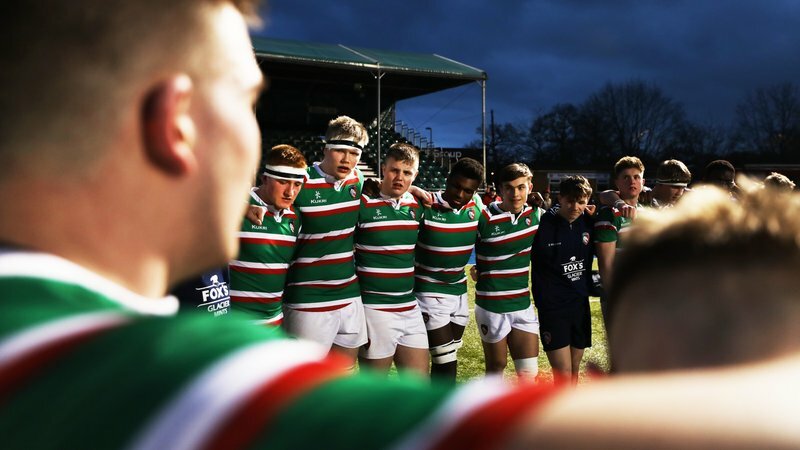 If you’ve not been to Welford Road before, experience the home of rugby’s biggest and best supported club as Tigers face Saracens and Harlequins as well as a European visit from six-time French champions Racing 92. Guarantee your seat during Tigers festive fixtures from just £69* and why not treat your friends and family and enjoy your Tigers matchday. The Big Game Bundle is all about big rivalries and we’ve hand-picked the must-see fixtures to guarantee fans their place when the ‘old enemy’ come to town. 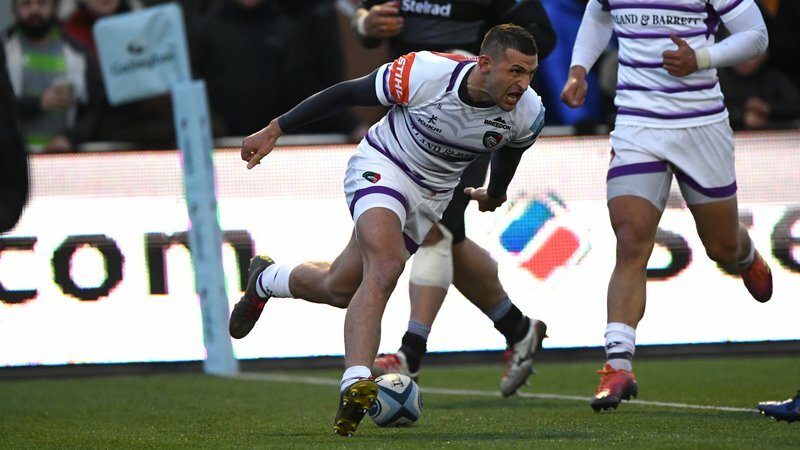 Watch Tigers take on Harlequins in a festive Gallagher Premiership showdown, before the visit of local rivals Wasps and Northampton Saints in March 2019. Join us for Tigers final home fixture for one of rugby’s oldest rivalries against Bath Rugby. 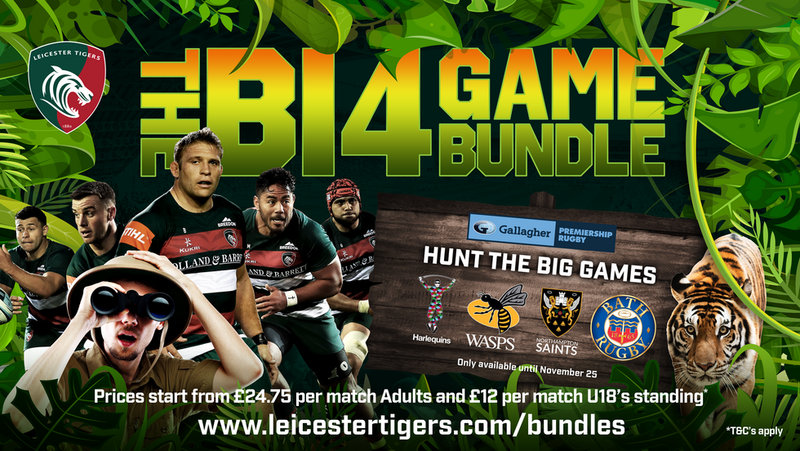 Big Game Bundle prices start from £99* saving fans even more money compared to individual ticket prices. Behind the full Tigers season ticket, the half season bundle offers the best value for fans. 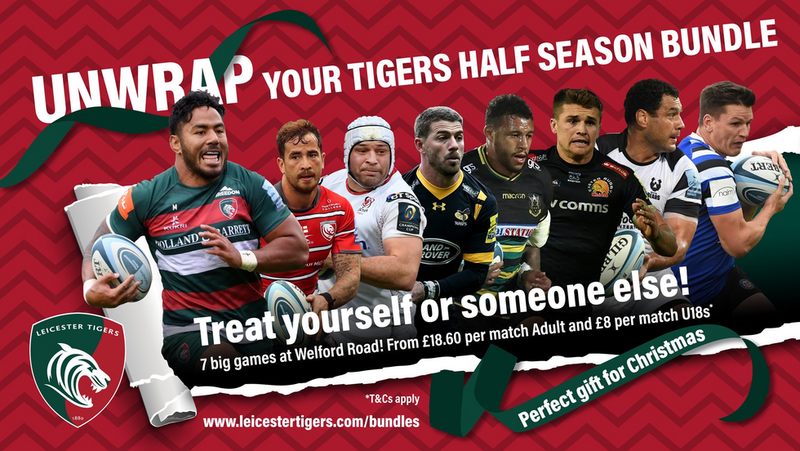 A popular Christmas present, enjoy all the benefits of being a Leicester Tigers season ticket holder as well as guaranteeing your place at Welford Road as we head towards the business end of the season. 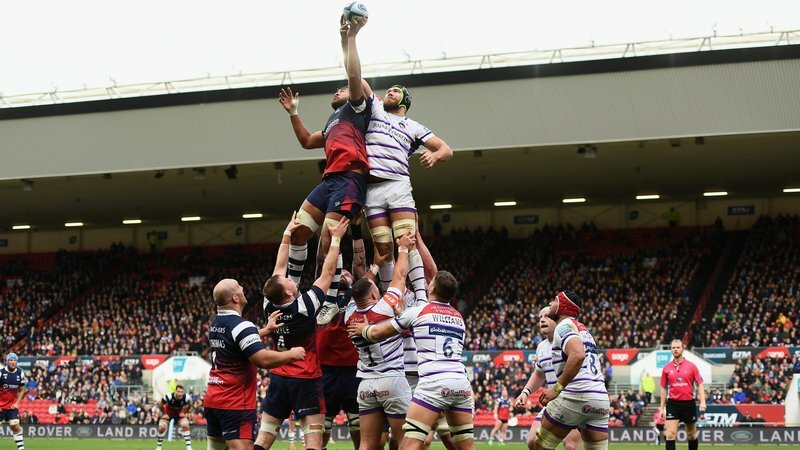 Tigers welcome Gloucester, Wasps, Northampton Saints, Exeter Chiefs, Bristol Bears and Bath Rugby to Welford Road in the second half of the season, as well as the European visit of Ulster Rugby in the Heineken Champions Cup. The Half Season Bundle prices start from £130*and gives you access to a host of benefits including free upgrades, 10% discount in the Tigers store and much more. All Bundles are available from today (Sunday, September 30) and can be purchased in person at the Tigers ticket office, by calling 0116 319 8888 (option 2) or visiting the link below. The Winter Bundle and Big Game Bundle are only available until November 25, so get yours now to guarantee your place.